Keeling Home Inspections is your premiere home inspection company. We serve clients all over Metro Atlanta and the surrounding North and Middle Georgia areas including Douglasville, Newnan, Peachtree City, Fulton, North Fulton, Alpharetta, Cobb, Marietta, Gwinnett, Walton, and Conyers and any county or city in the Atlanta Metropolitan area. We inspect new and used homes of all kinds, as well as smaller commercial properties. 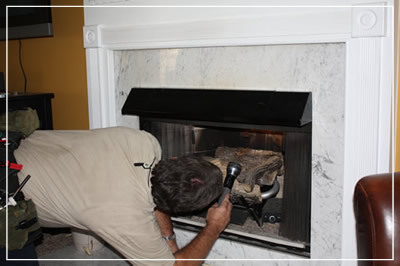 We inspect Historic, Traditional, and Contemporary Homes. Lofts, Condo, TownHomes, and homes of any type. Home Inspections usually take about 3 to 3½ hours – and you usually get the Inspection Report that day – or at least within 24 hours! Chris Keeling uses the HomeGauge software and their services send email notification to my clients (and their authorized parties) informing them of their HomeGauge User Name and their Secured Password needed for Report retrieval. The Home Inspection Reports can be printed, copied, etc and according to HomeGauge, they will are always available on their servers for future reference. See samples of our reports here.